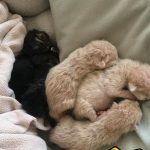 Adopt a Kitten or a Cat? Before you bring home a kitten it’s good to reflect on whether a kitten is the best choice for you. Consider how much time, effort and money you are prepared to invest in your new pet. It’s an important decision. Kittens are crazy cute, full of energy, and silly as can be. They can provide hours of entertainment, as they chase their tail or play with shadows. But remember that kittens require almost constant supervision. They are like human toddlers, getting into everything. Children must be supervised around kittens, and the home should be kitten-proofed. An adopter must have time to socialize the kitten. 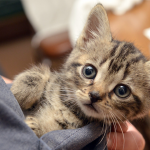 Kittens also require more veterinary care in the first year or two of life. 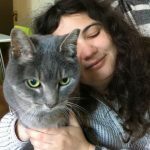 If you are a busy, working family, have a quiet lifestyle, are a senior, or have children under the age of 6, an adult cat may be the best choice for you. But if you work from home or are home most of the day, and have the energy and time, a kitten may be just the right furrball for you! Kittens are born throughout the spring, summer and early fall of each year. This is known as kitten season. It’s a natural occurrence, where warm weather acts to bring intact females into heat, usually every three weeks. During kitten season, kittens fostered by Toni’s Kitty Rescue volunteers are very often available at following locations. 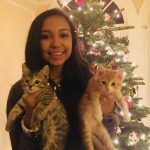 All TKR kittens are spayed or neutered, immunized, and microchipped. A Pet Food Express employee can introduce you to a kitten during business hours. To adopt a kitten, a representative from SFACC is available at the store M-F 4-7pm, and Sat/Sun 1-4 pm. Every 8 seconds an unwanted shelter cat is euthanized somewhere in the United States. You can do your part to help with this terrible problem: choose to adopt from a shelter or rescue, not a breeder. 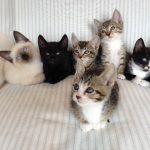 The majority of breeders are simply cruel kitten mills where cats are exploited and suffer in order to provide kittens to the pet retail trade. There are many different kinds of kittens to choose from in a shelter or rescue! Take your time and meet a few different kittens. Shelter and rescue staff are always happy to help you in the process. And, it feels good to know you’ve made a kind, compassionate choice. Toni’s Kitty Rescue is proud to be a part of a network of active volunteers committed to ending the cat overpopulation problem. All cats and kittens fostered by TKR are spayed/neutered before adoption.